You have no idea how happy I am its weekend! I have had the busiest week at work, one night I only got home at 19:45pm… Yup but the cool part is I am travelling for work next week Monday, going to a convention. I am pretty excited lol! So yes that explains my absence from the bloggie. 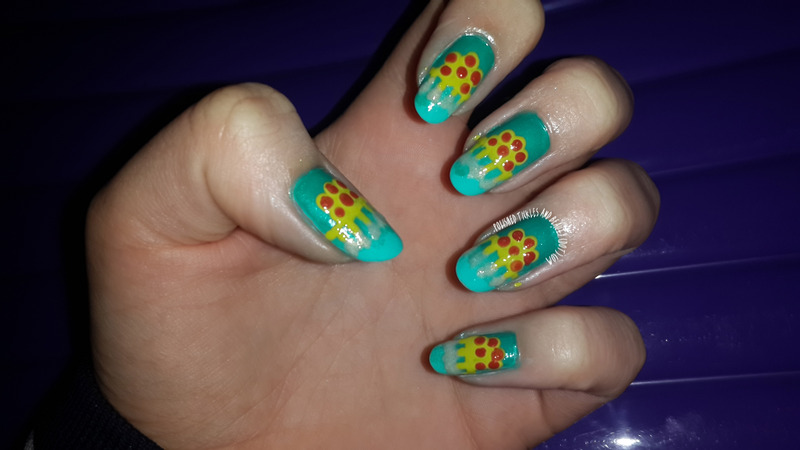 I did have some time this past Monday night to get a quick bit of Nail art done for today. Its such an easy design today! I found this image on Pinterest so that explains why its so small but anyhoo. Lets see what colours I used for today’s seed. Its literally super easy to accomplish, and really only takes about 10 minutes from start to finish. 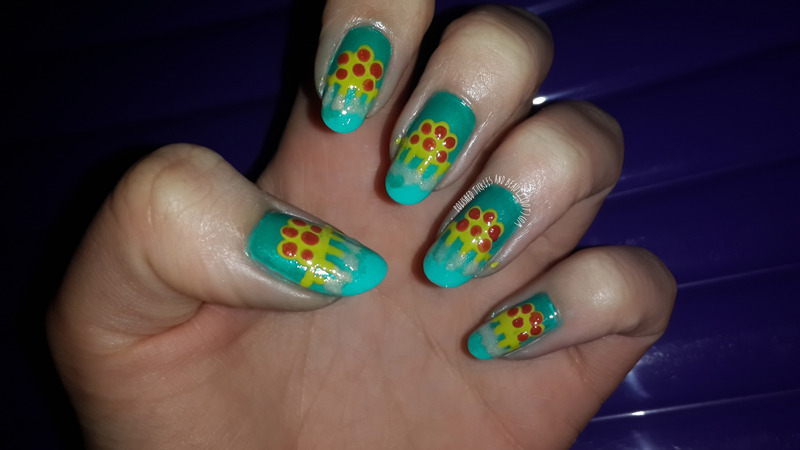 This is actually my first time doing dry brush nail art and I really loved it! Its so rainy and miserable in Cape Town at the moment, if you are currently experiencing the joys of summer can I come live with you? I really dislike the cold. 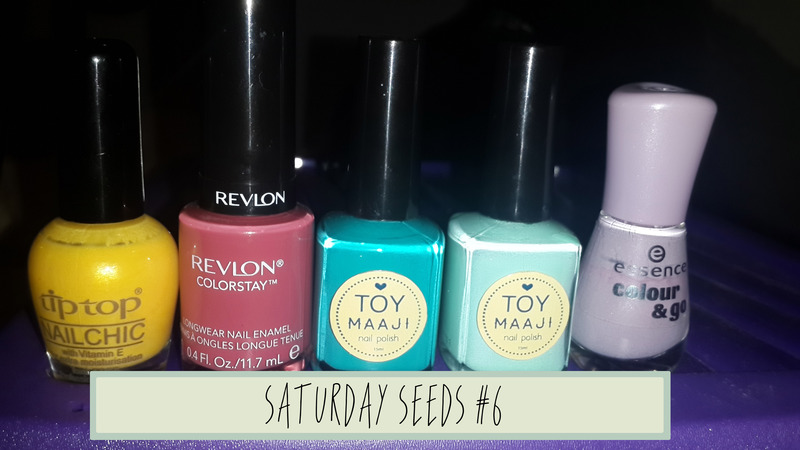 Anyhoo so today I have a new seed post for you. 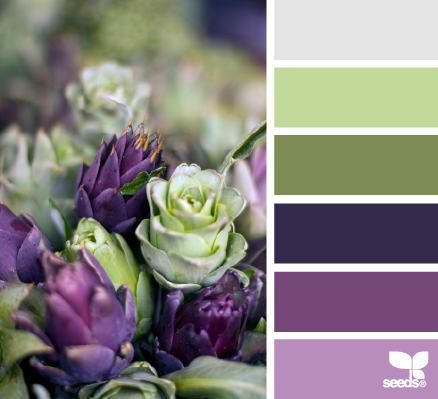 It’s sort of funny but I didn’t know that these are artichokes… Artichokes are food right? Not flowers? I was a bit shocked because they are beautiful! Lol I claim ignorance! As you may have picked up I am a bit of a purple polish Luva! This just screamed “paint me”. 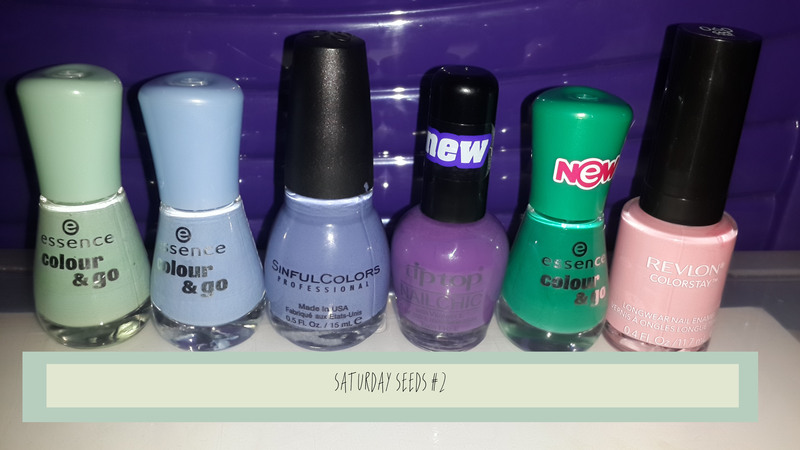 As you can see Essence dominated this week, they really do have an amazing selection of polishes at an incredibly affordable price. 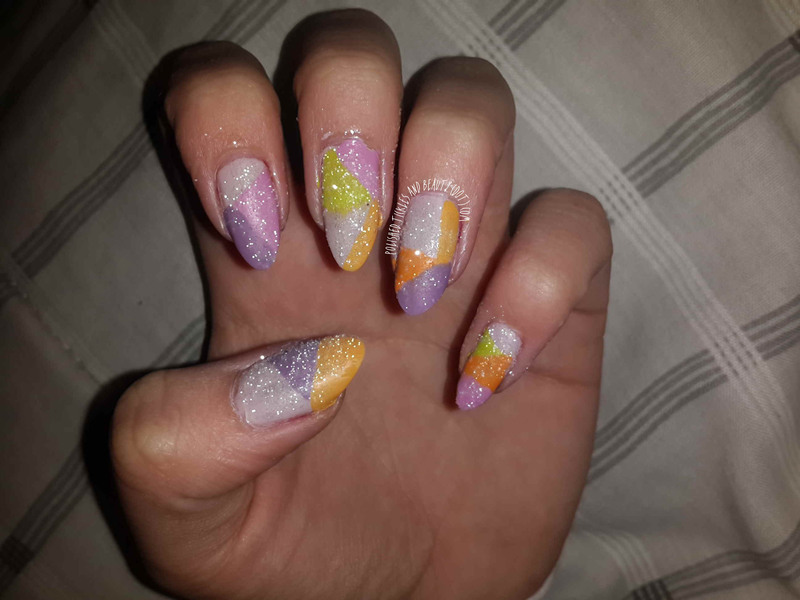 I decided to do a Skittle Mani. I basically painted each nail a different colour and then for the sake of uniformity I striped the Grey polish over. To finish it off I did a mish-mosh of dot looking flowers. Im not going to lie, I am a bit rusty with a striper brush. 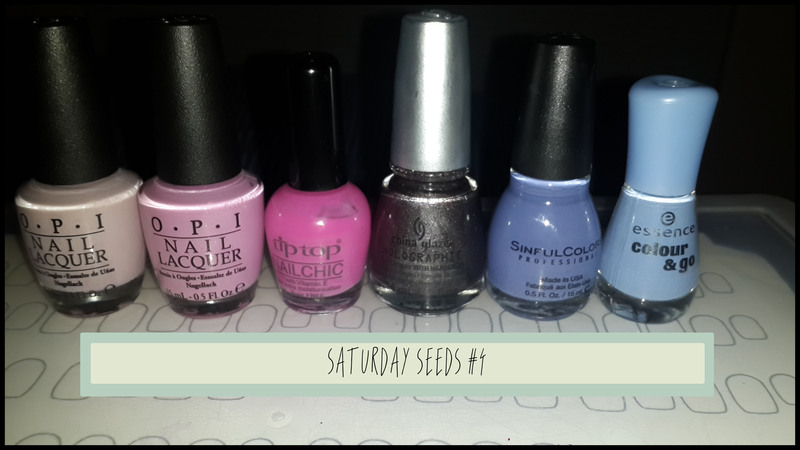 So I am back after a short catch up break with a new addition to Saturday Seeds. I am so unbelievably in love with Today’s inspiration & Nail Art. Its my Favorite one to date! 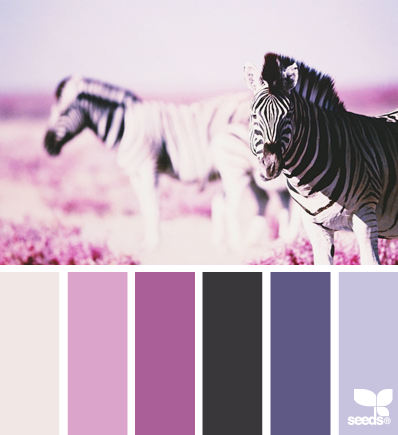 As you can see its filled with my Favorite Colours and it has some sweet little Zebra (Which reside on my lovely Continent of Africa). Have you ever seen a Wild Zebra before? They are just too precious! 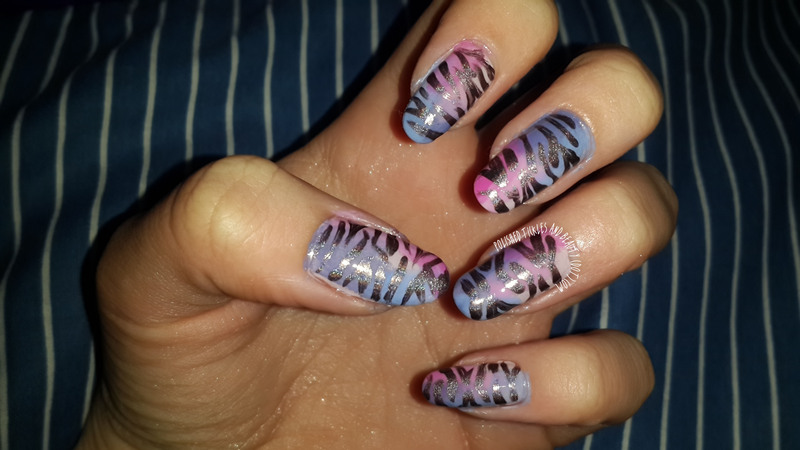 I decided because this is such a pretty Picture, to pull my inspiration directly from the image and so I did a Zebra Print Mani… With a funky twist. 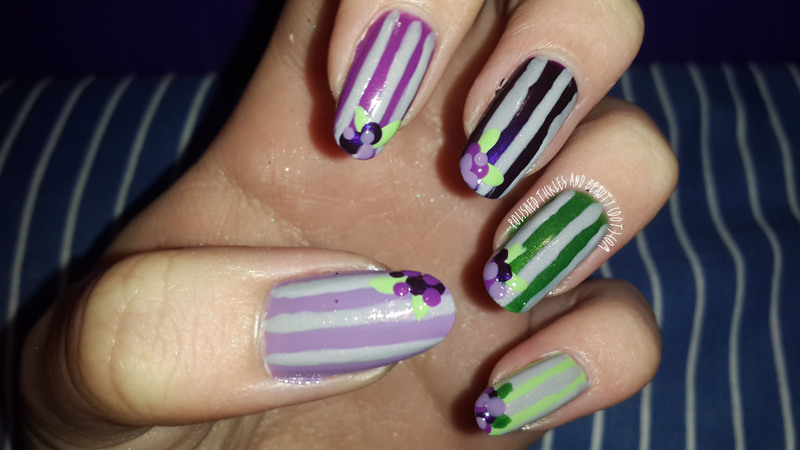 I decided to use a Holo Grey instead of a Creme Grey to do my stripes, I think that is why its come out so funky! I painted a Base of O.P.I. Steady As She Rose and then sponged on the other colours in random places. I then used my liner brush and striped on the holo zebra stripes. To top it all off I did a top coat of Seche Vite and ta-dah! Hope you all having a good relax. 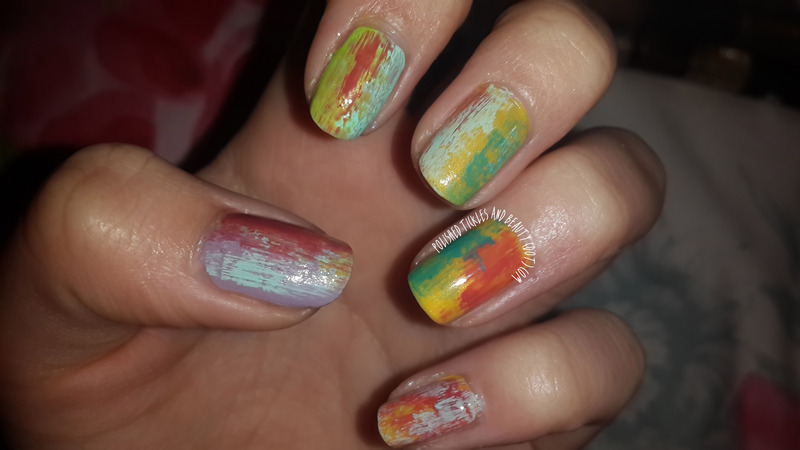 I love the colours for the weeks challenge but I just couldn’t get what was in my head out onto my nails. It could have been the fact that I have had a really busy week at work and was a bit tired. Or it could have been that I accidentally left this to the last minute. 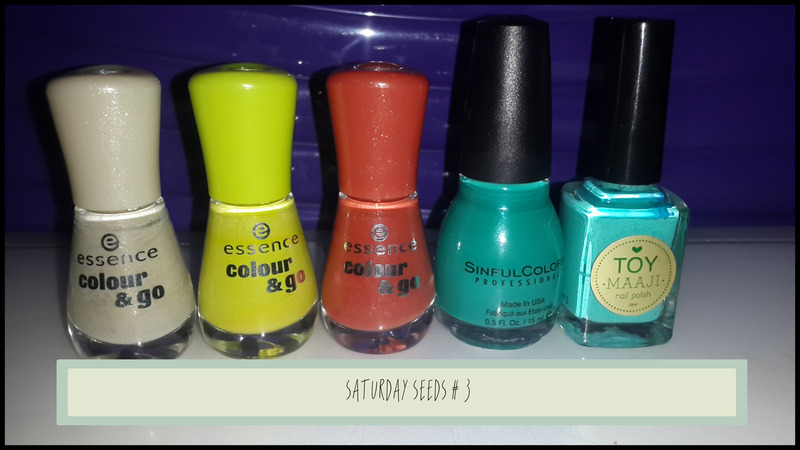 Whatever the case may be this weeks Saturday Seed post is a total Nail Fail! Ok let me show you. I did a gradient using Rise & Shine and Maaji’s Ocean and then used the Essence polishes to do the details. I think that I am going to have to add this to my retry list so that I can see if it can be done better, which I know for a fact it can be! But oh well whats done is done, at least now I learn my lesson and wont leave this to the last minute again. 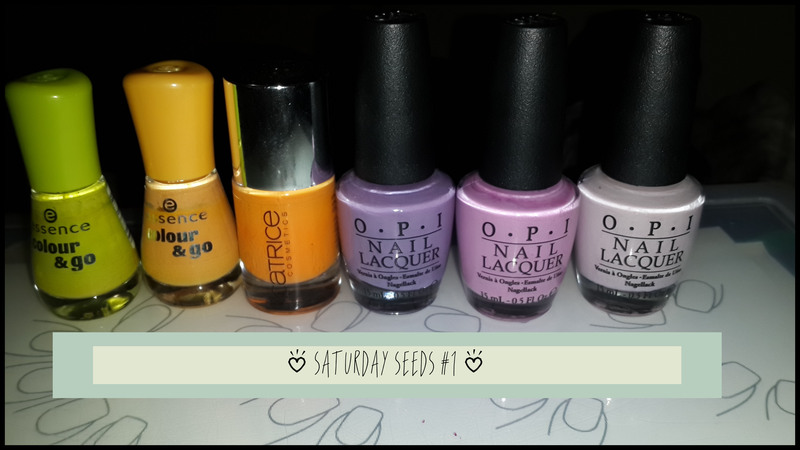 So today is the second installment to my Saturday Seeds Adventure. I found a Seed I wanted to try but man did I struggle to do it. This time I decided to pull direct inspiration from the image and attempt to paint a (If anyone knows the name of this flower please let me know, I looked high and low) Trumpet Flower. 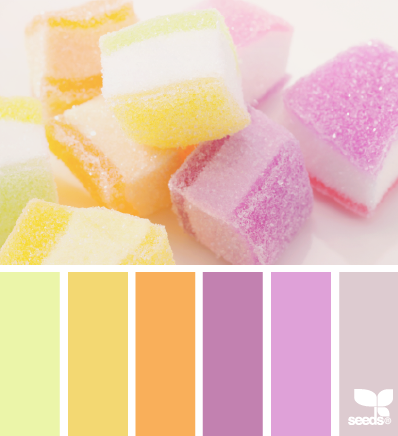 Ok so let me show you which colours I picked for today. 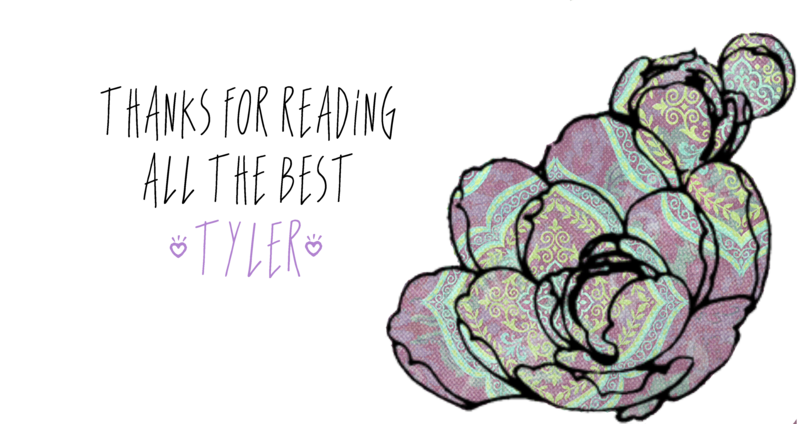 I wont lie, I removed the designs a few times because it would look sort of ok and then i would mess it up by adding too much of a colour. I thought this was pretty but I wanted it to look different so I added a matte top coat. I love it so much more in the matte finish! So today I have a super fun concept to share with you that I have been wanting to do for some time now. 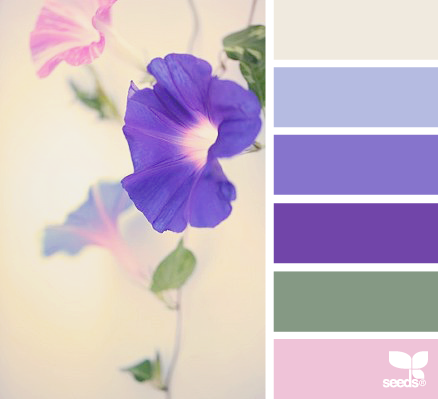 Have you ever heard of Design Seeds? 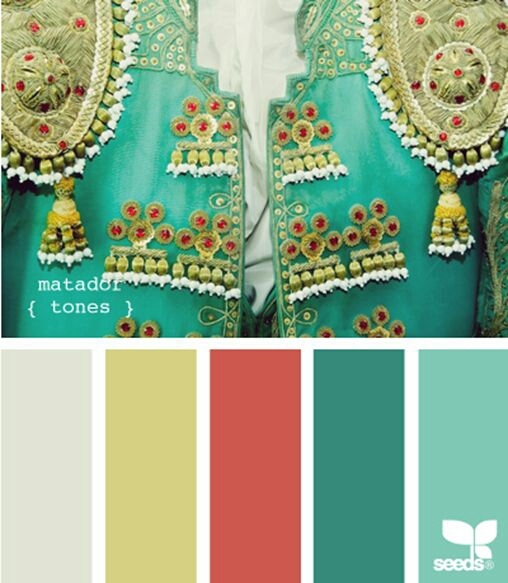 It’s this really cool website (with an exceptionally addictive Pinterest too) that does colour combo’s of pretty pictures. I am signed up to their mailing list and get 2 images every night. 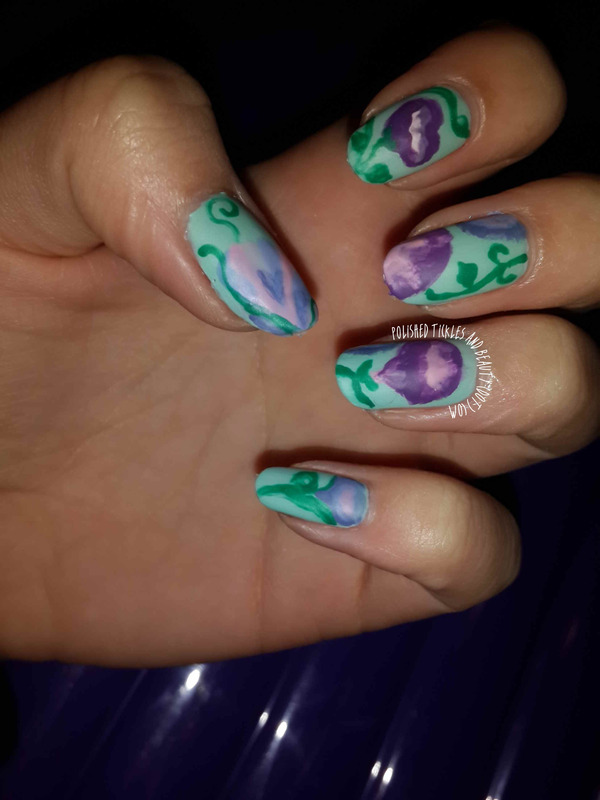 I started playing with the idea of using them to challenge myself to do more nail art. 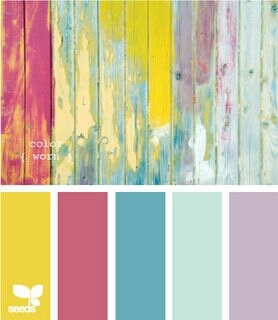 I love colours, I have always loved anything colourful. As a child I used to get those art sets every Christmas, the ones with the pencils, paints, pastels, markers and crayons. I would tip them all out, arrange them by colour around me and draw for hours on end. So now you see what I am talking about. 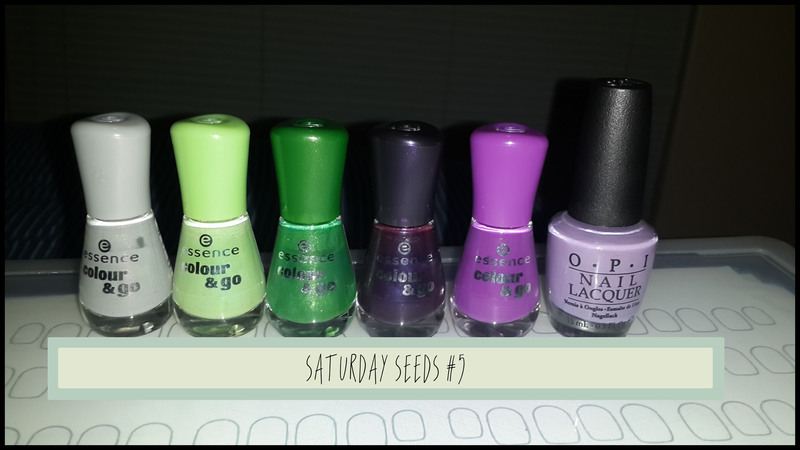 My idea is to do one of these every Saturday and call it Saturday Seeds. I will then only use “tried polishes”. I figure doing that I will get to use colours that never see the light of day anymore. 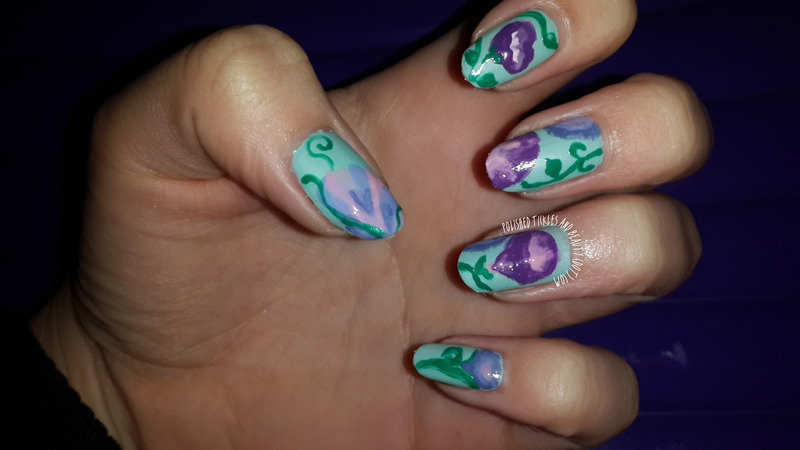 My plan is not to try copy the image but to be inspired by it while using the selected 6 polishes. What do you think? Excited to see more of these? I challenge you to try this too! It’s so fun!